There is arguably no more respected name in Australian writing than that of Martin Flanagan. For more than 40 years he has earnt a reputation as one of Australia’s great ‘story-telling’ writers, covering a range of subjects, including reconciliation between indigenous and non-indigenous Australians, however there is no doubt that his most celebrated works centre on his great passion for Australian football. Martin Flanagan was born in Launceston in 1955. His father was Arch Flanagan, a premiership player with North Hobart in 1936 and a WWII prisoner of war who had been one of ‘Weary Dunlop’s Thousand’ on the Burma Railway. Martin’s first real exposure to football came when he was a boarder at Marist Catholic College in Burnie, one of his contemporaries being future Collingwood champion John Greening. During this time Flanagan came to greatly admire the East Devonport team that claimed the NWFU premiership in 1968, in particular their great captain/coach Graeme ‘Gypsy’ Lee. 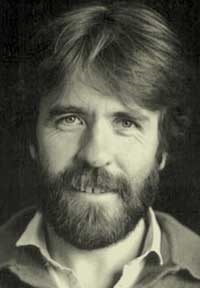 After leaving school, Flanagan studied at the University of Tasmania in Hobart, graduating with a degree in law in 1975. While studying at UTAS, he played football for the university’s amateur football team, during the club’s great era under Brian Eade (father of Rodney Eade) in the early-70s. Flanagan described himself as a “timid but fascinated” player, however he did achieve very mild success as a coach, guiding University’s Thirds to a narrow Grand Final loss. After spending some time travelling post-graduation, Flanagan’s journalistic career began with a cadetship with the Examiner newspaper in Launceston in the late-70s. He later moved to Melbourne and became a writer for The Age, with a great many of his contributions – in particular his weekly football column ‘One of the Crowd’ – proving immensely popular. In this medium Flanagan penned pieces on a number of football issues, in particular football’s role in the reconciliation between indigenous and non-indigenous Australians – a subject about which Flanagan has long been passionate. He also covered subjects such as the way football impacts and shapes the community and society at large, as well as commentary on Australian culture as a whole. Flanagan penned his final column for The Age – entitled ‘The Power of the Game, and its People, Make me Forget about Everything Else in the World’ – in June 2017. However, it is as an author that Flanagan has earned his greatest acclaim: a writer of both fiction and non-fiction books, Flanagan’s first significant works – the books ‘Going Away’ and ‘Family Matters’ – were published in 1993. In 1998, he published the novel ‘The Call’, a historical re-imagining of the life of Tom Wills, widely regarded as the father of Australian football. In the book, Flanagan postulated the theory that Wills’ exposure to the Aboriginal game of marngrook was a key factor in his later development of Australian football, a theory which has before and since generated much debate amongst football historians. The novel was later developed by Flanagan and director Bruce Myles into a stage play. Flanagan has also co-authored multiple books with other individuals, such as ‘The Line’ with his father Arch (about the latter’s experiences in WWII), as well as the autobiographies of Australian football greats Matthew Richardson and Michael Long.